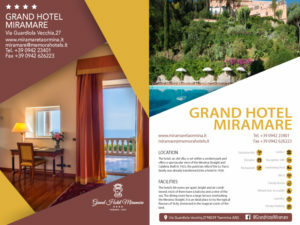 The Grand Hotel Miramare Taormina, an old villa, is set within a verdent park and offers a spectacular view of the Messina Straight and Calabria. 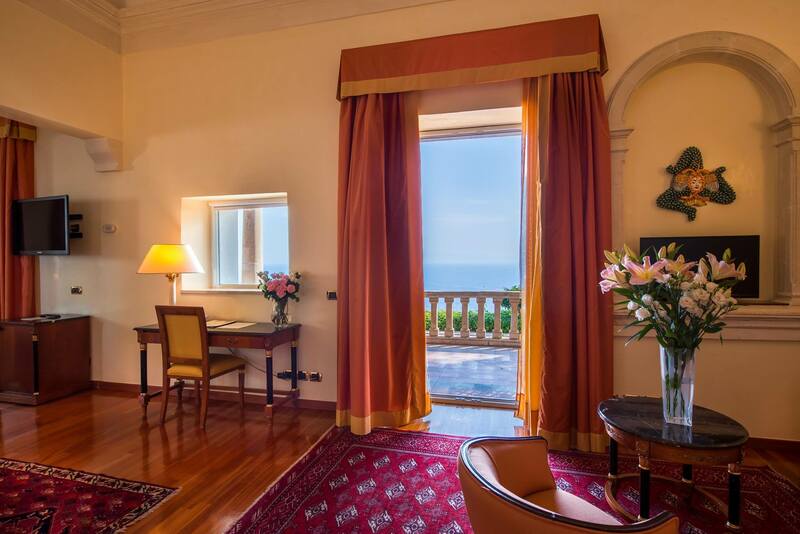 Built in 1922, the patrician villa of the Lo Turco family was already transformed into a hotel in 1926. 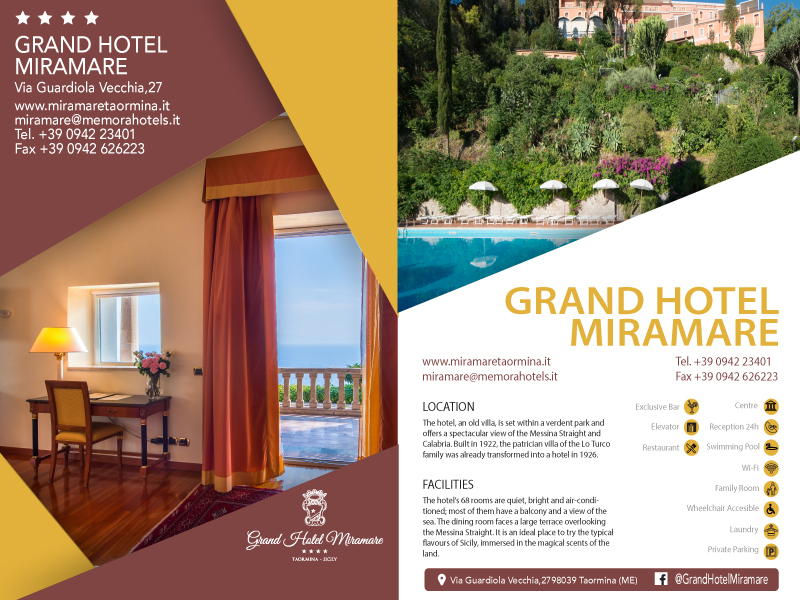 There have been various conservation projects throughout the years, the last of which took place in 1992 in the form of extensive restoration work, which maintained the antique charm of a residence out of another era and respected the style of both the villa and the furnishing of the rooms, while at the same time adding all the comforts required for an elegant and relaxing vacation: bar, restaurant with a panoramic view, grill, swimming pool and tennis courts. 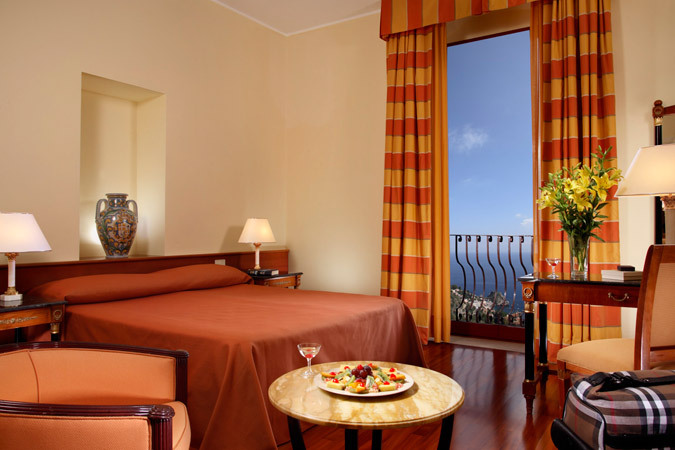 The hotel’s 68 rooms are quiet, bright and air-conditioned; most of them have a balcony and a view of the sea. 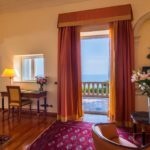 The dining room faces a large terrace overlooking the Messina Straight. 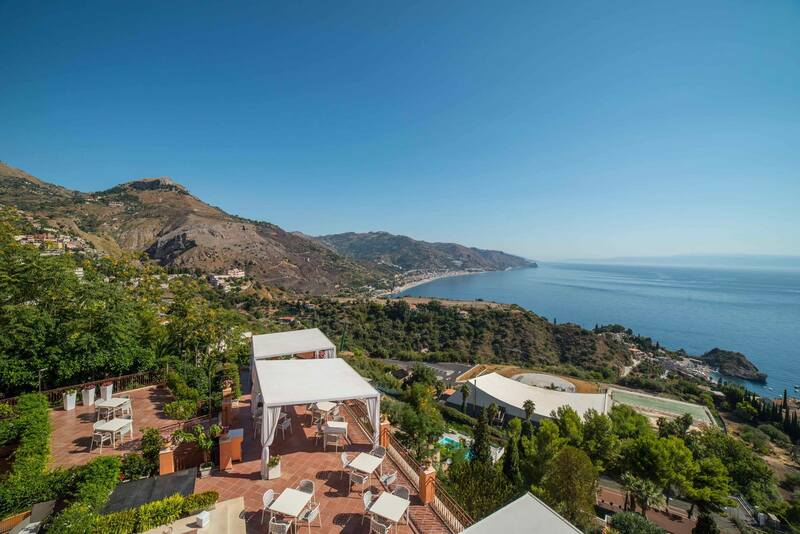 It is an ideal place to try the typical flavours of Sicily, immersed in the magical scents of the land. During the summer it is also possible to dine outside on the terrace. Delicious desserts can be eaten at the bar and on the terrace. During the day, the bar at the swimming pool offers light meals in a relaxed atmosphere.